Get ready for the best night of your young life! 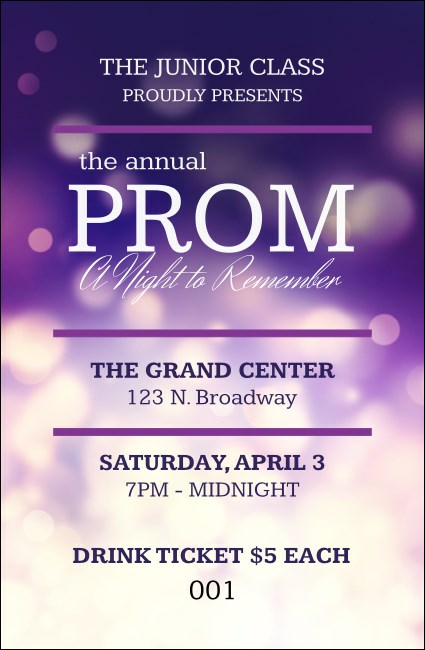 Abstract Lights Event Tickets are perfect for prom and other formal events with a gorgeous purple background and glittering lights. Each ticket template includes secure numbering for great event organization. Illuminate the evening with TicketPrinting.com.